You gotta hand it to DC. I was beginning to think NOTHING could get me blogging again, but dagnabbit, they convinced me. I admit it. 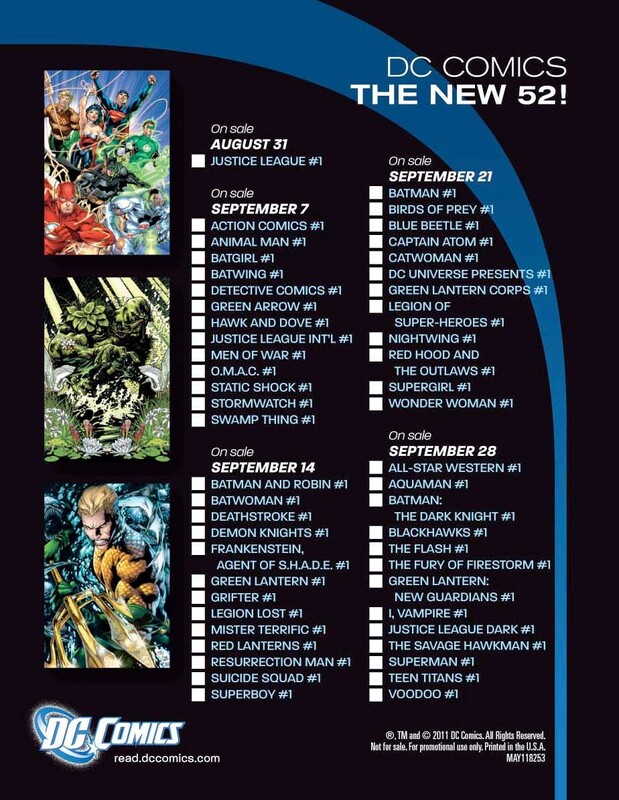 Despite my initial hesitation, I have totally been swept up by the DC New 52 hype machine. I was initially planning on only reading Batgirl and Action Comics this week, but in the end couldn’t resist and got them all. So, time permitting, this will be the first part of a weekly return to reviewing comics (at least for this month) as I wade through the New 52, nitpick and, in general, and just figure out which ones I plan on sticking with issue 2 onward, and which ones I’m planning on dumping. And if, in the meanwhile, I help you guys decide what you wanna read? Well, that’s just a bonus! Now, since DC is flooding the market with far too many books–this handy checklist lists 13 books coming out this week alone–I will be doing these individually. But enough background chatter, on to the reviews! 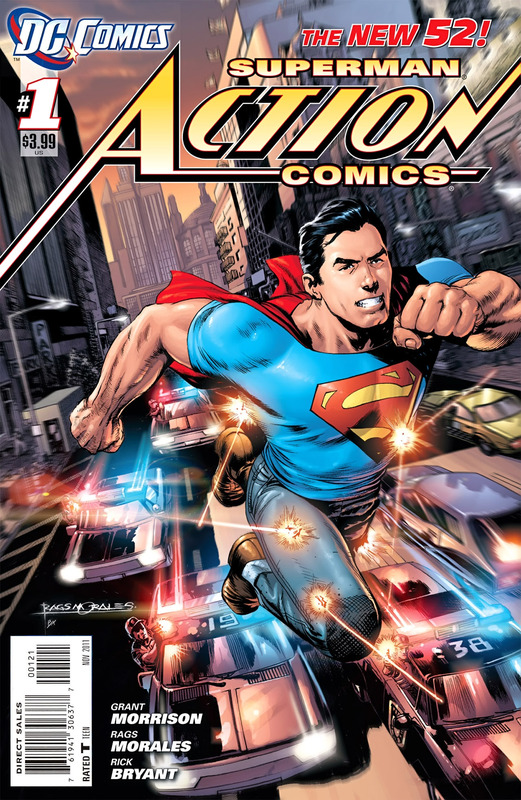 First up, Action Comics #1! Honestly, this book is what DC should have launched the New 52 with, not last week’s incredibly disappointing Justice League. Grant Morrison, he of All Star Superman (among many, MANY other things) fame, gets Superman. This isn’t the crybaby who has been populating the DC Universe for the past decade or so. This isn’t the “human” face that John Byrne introduced in the ’80s. This is Superman, the Alien, the Outsider, the Hero of the masses. In short, this is Superman the way he hasn’t been written since at least the 1960s. And its about time he came back. Full disclosure, I am a huge Grant Morrison fan, AND a huge Superman fan. Love everything Morrison has written–even the disappointing letdown that was Final Crisis–and have been buying Superman comics since I was old enough to start making my own purchasing decision. So, I admit, I really wanted to like this book. Thankfully, it not only matched my expectations, it easily exceeded them. Morrison’s Superman is not one most of us are familiar with; of late Superman has been The Man……….. There were a few curious storytelling choices that I am excited to see develop. Jimmy Olsen being of equal age to Clark Kent is interesting; since there never was a Superboy in this universe–at least not till the retcon–I predict that he will be taking up the Pete Ross role in the series and might even be aware of Clark’s alter ego. This isn’t a rumor or anything, just a gut feeling. Likewise, it makes sense for Jimmy Olsen, the human, to be Kent’s best friend. Superman, at least this one, wouldn’t have the time or the inclination to befriend “normal” humans. Lex Luthor’s eccentric genius was another nice touch. This is definitely the Lex Luthor of All Star Superman, NOT the business mogul that most people are aware of. He’s a genius, but he can’t stand the sight of an alien usurping his role. It should be fascinating to see that relationship play out into the rivalry it will inevitably become. Another minor point of note: Clark and Lois working for rival newspapers. I LOVE this. We all know they will both end up working at the Daily Planet together sooner rather than later, but seeing them duke it out over exclusives for rival publications is far more believable, and interesting, than journalists for the same paper doing the same. Here’s to hoping that trend continues. Coming to the art, I like Rags Morales. He’s brilliant with facial expressions and is one of the few people that can convey a wide range of emotions with just the right amount of shading around a character’s eyes. And he’s easily doing the best work of his career (thus far) in this book. It’s clean, crisp, and so definitively Superman that I can’t believe its the same guy that was little more than a polished clone of Howard Porter when Identity Crisis came out. Finally, this is the only book I have read thus far that really takes the whole concept of an altered reality and just runs with it. There are no callbacks, no references to previous continuity. This is fresh, new, and very new-reader friendly. Fingers crossed that it finds them; it deserves it. That’s it for Action Comics. Next up: Animal Man and Swamp Thing–hopefully within 12 hours!